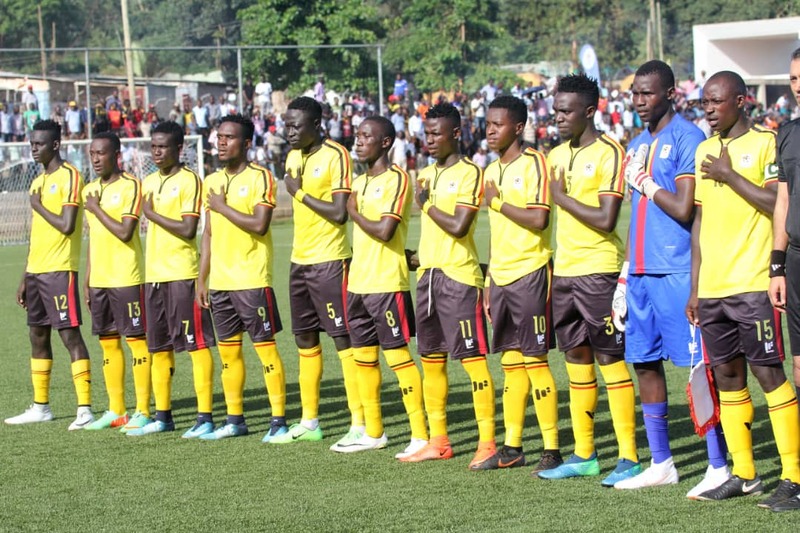 JUBA – Uganda U23 Football National Team-The Kobs were on Tuesday eliminated from the 2019 AFCON Qualifiers by South Sudan. Wasswa Bbosa’s side who went into the second leg of the first round of qualification leading 1-0, lost 2-0 in the return leg in Juba to end their hopes of making it to the finals tournament in Egypt next year. Hoping to become the third National football side to reach a major tournament in their respective age group, after the Cubs and Cranes, the Kobs were dealt a huge blow inside the opening 24 minutes, falling behind to a Taku Peter strike thanks to goalkeeper-Saidi Keni’s hauler. By half time, the Kobs could not get the leveler as the they went into the break level on aggregate with the hosts over two legs. Bbosa who played the same starting line-up like that in Lugogo, introduced Vipers’ Duncan Sseninde for Joel Madondo in an effort to cub South Sudan’s wave after wave of attack and try to create chances upfront. Despite also taking off Allan Okello later, the Kobs succumbed to the pressure and eventually conceded late to a Makweth Wol strike which sealed their fate. The side will be disappointed by their display especially in the final third as they have struggled to create chances in both games. South Sudan will now move onto the second round of qualification and take on Tunisia early next year. The Kobs now become the second under age side not to make it to their respective finals tournament after the U20 (Hippos) failed to reach the AFCON finals earlier this year.